Hey ho! time flies and once again the Zhongqiu Jie 中秋節 (Mid-Autumn Festival) is nearly upon us. Later this week millions of Chinese will be on the move to visit family and friends during this three-day national holiday. Zhongqiu Jie always falls on the 15th day of the 8th lunar month, which this year is September 19th. It is also often called ‘Mooncake Festival’ because of the prodigious quantities of mooncakes which are made, bought and sold. This festival is particularly linked to the moon and its immortal goddess Chang’e who lives on the moon and cannot leave. 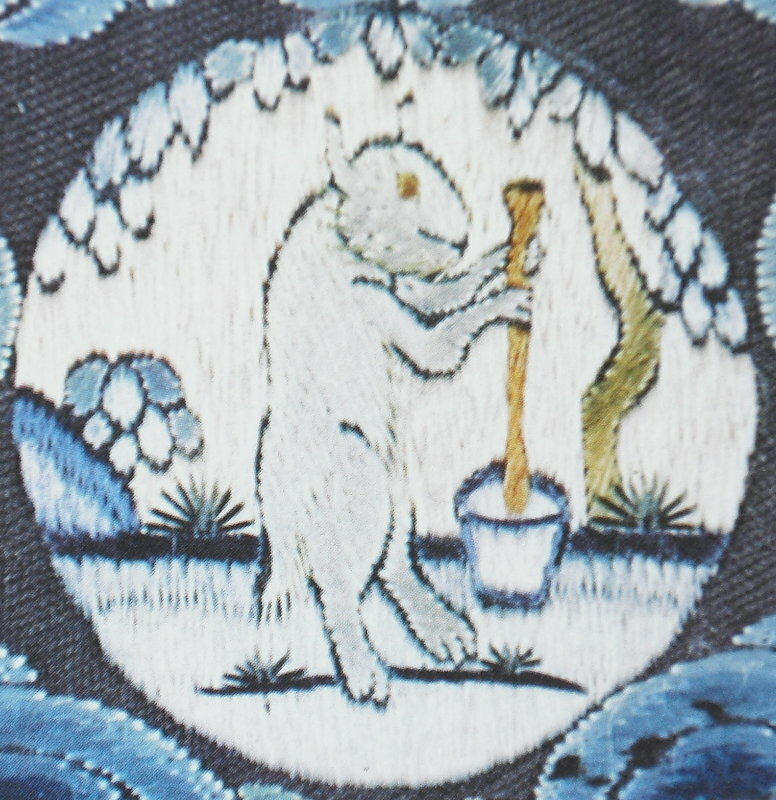 Her companion on the moon is a Jade Rabbit (confusingly considered to have white fur) who stands on his hind legs under a Cassia (cinnamon) tree pounding the elixir of immortality in a big mortar. He can leave the moon and come down to earth sometimes; on one occasion he came down and saved Beijing from the plague, and here he is venerated and called Lord Rabbit. But that’s another story. There are many folktales about Chang’e and how she came to be the Moon goddess, and they all go something like this: Long, long ago ten blazing suns rose in the sky and were scorching the earth. An archer called Houyi used his skill and shot down nine of the suns, thus saving humanity. 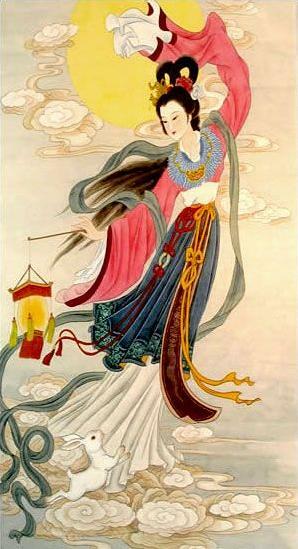 As a reward he was allowed to marry the beautiful girl he loved – Chang’e. They lived very happily until one day he mysteriously acquired a special pill which could make him immortal. Houyi was told it was extremely powerful and that he should only take half the pill and give the other half to his wife. Alas he did not tell Chang’e this, and one day when he was out she became curious and swallowed the whole pill. She immediately became immortal and floated up to the moon – Houyi was heartbroken and tried to shoot her down but he never succeeded and she has remained on the moon ever since. 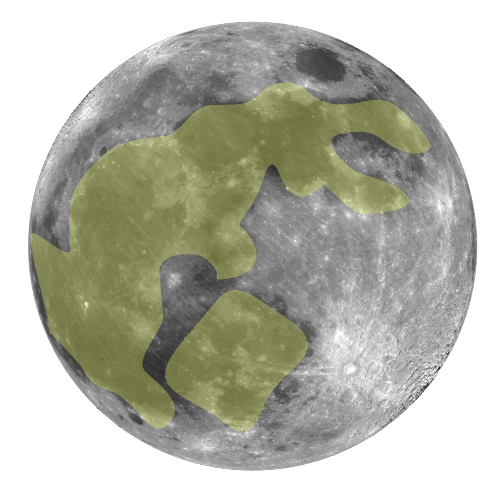 The Jade Rabbit was already on the moon; since ancient times people have been able to see him there and he features in the folk mythology of many societies including the Aztecs, Koreans, and Japanese. If you look at the moon through a telescope, you may see him there yourself. The Moon goddess still holds an important place in Chinese society. 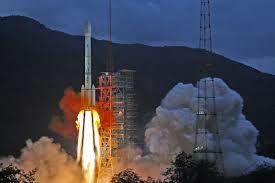 Indeed the first two spacecraft of the Chinese Lunar Exploration Program launched in 2007 and 2010 were named Chang’e 1 and Chang’e 2 in her honour. 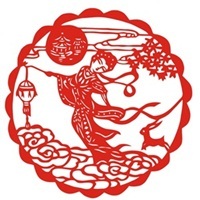 This entry was posted in Uncategorized and tagged Chang'e, Chinese festivals, Chinese folklore, Chinese Lunar Exploration Program, elixir of immortality, Houyi the archer, Jade Rabbit, Mid Autumn Festival, Moon Festival, Moon goddess, mooncakes. Bookmark the permalink.